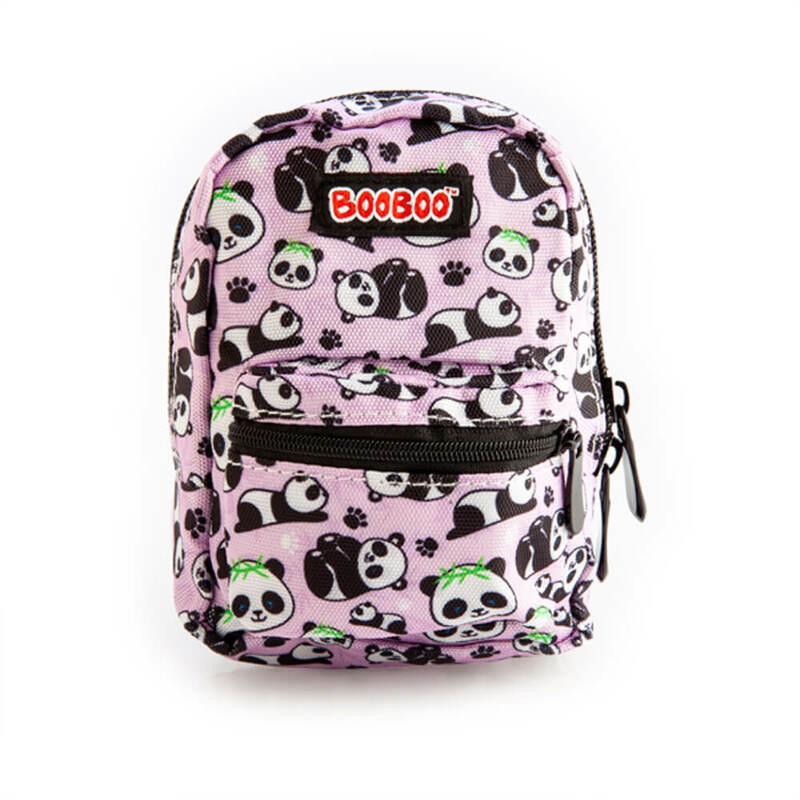 BooBoo Mini Backpack | A compact, hand-sized teeny-weeny backpack! 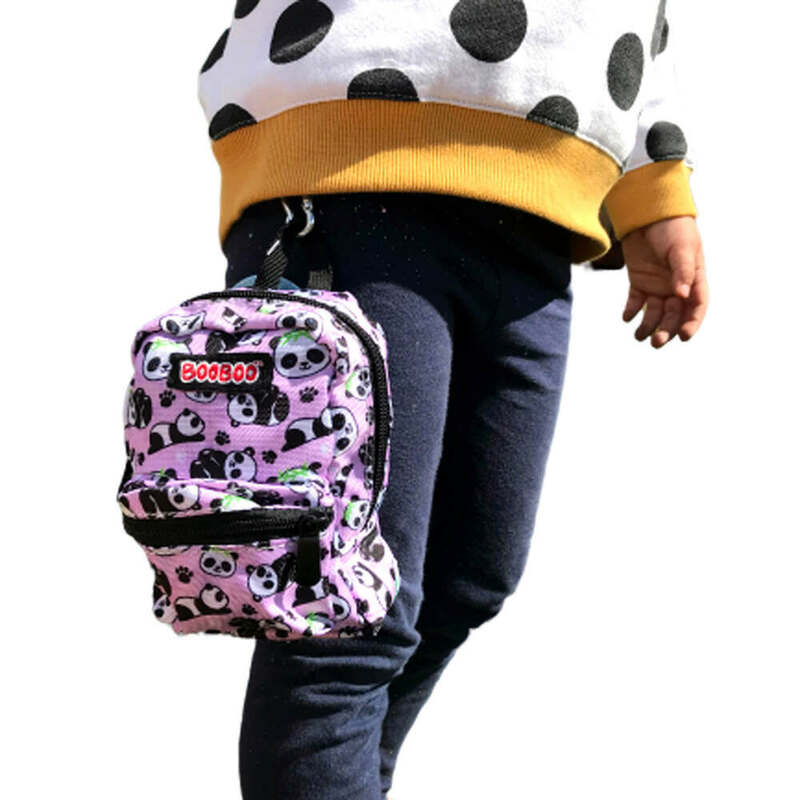 A compact, hand-sized teeny-weeny backpack! The BooBoo Mini Backpack is perfect for little kids or for use as a small travel purse. The elastic straps and sturdy carabiner clip provide multiple ways for you to wear it on the go! Wear it on your arm, on your belt, or clip it to your keys. You could even give your pooch their own mini backpack! It's also perfect for little one who love to dress up and carry their everyday essentials (such as their dummy and a bag of snacks), while you keep your hands free for taking photos, drinking coffee, dancing or holding whatever you please! No pockets? No problem. 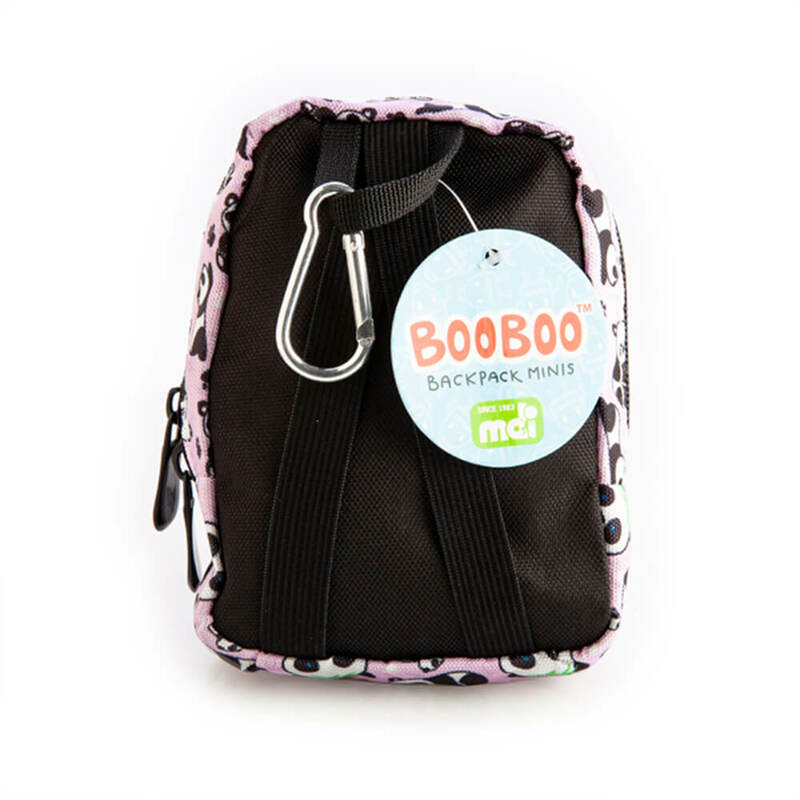 Pop your phone, keys, change or other important first-aid essentials in your BooBoo Bag! Your bag has one main zipper compartment with a mesh sleeve on the inside, and one small outer zipper pocket. 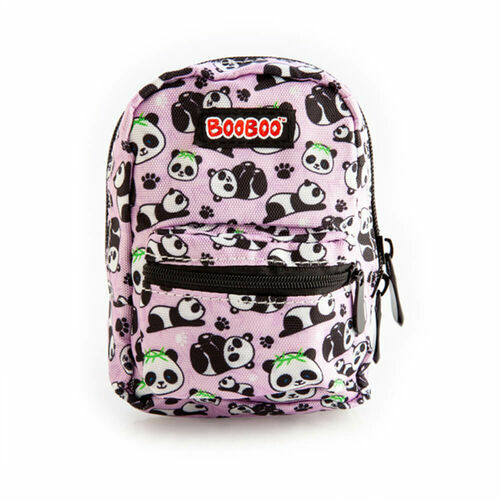 Coming in 7 cool designs: Panda, sloth, pug, unicorn, camo, space and robot (make your selection above). Dimensions: 11cm (l) x 5cm (w) x 15cm (h).